I will provide you with more fashion and beauty with a green thumb. I’m searching for brands that sustainably source their materials (cotton, leather, polyester, etc.). I’m searching for brands made in the U.S.A., I’m searching for brands that donate a percentage of their profits to a great cause and, I’m searching for brands that up cycle their materials. Are you getting the gist of where I am going with this? Most of all I’m looking for brands that are stylish! As with all subjects of controversy or heavy terminology, I encourage all my readers to do their own research as well. And see what they are up to! Links will be provided in all blog posts. 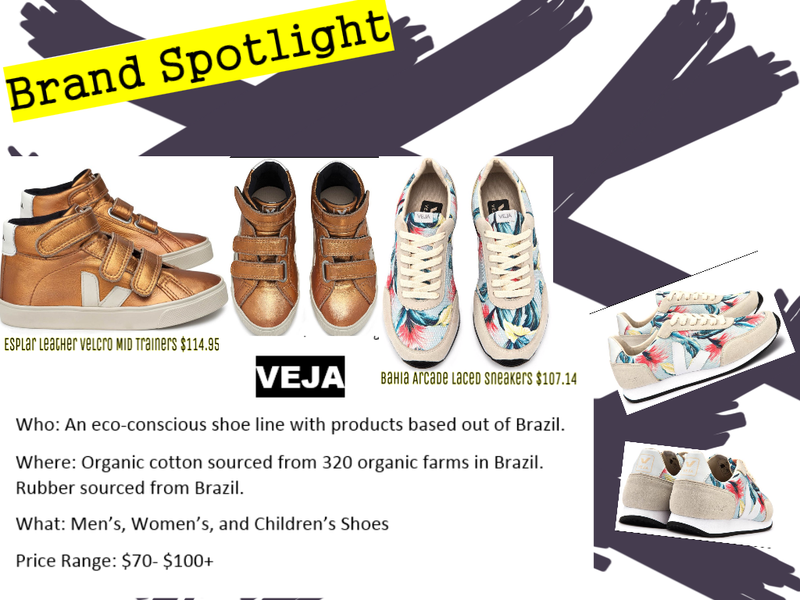 To kick this thing off, I am highlighting the sneaker brand VEJA. Haven’t heard of them? Not surprising. VEJA does Zero advertising :::: gasp:::: and hold Zero back stock. This means that production is tightly controlled and orders must be placed six months in advance! This is all in an effort to reduce CO² emissions. Really guys, go check out their website. It provides extensive information on the production of their marvelous kicks! NextWhat’s the Deal with Eco- Fashion? I’m excited for your future posts on eco-friendly fashion brands. I want to learn more about sustainable fashion, thanks! Awwww I am so happy that you are excited! Do me a favor and share the posts on your social media if you could please!